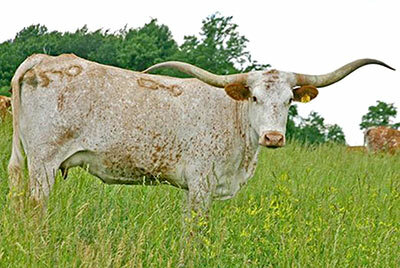 JUJU - a daughter of Jet Jockey, one of the largest horned World Champion Bulls, produced Jama Ju, Juma, and Jester (87" T2T). One daughter of Jet Jocky remains in the DCCI herd. Time rolls on. She was only defeated one time for Grand Champion Non Halter and it was by her daughter Jester. Jester was defeated one time by her dam JuJu. This is a strong DCCI family.